Connect external stereo audio devices directly to your B&O BeoLab speakers. Eg. TV, iPod/iPad/iPhone, MP3 player, Mac/PC computer, or any other device with 3.5mm headphone output sockets. This high quality cable will allow you to connect a TV, iPod/iPad/iPhone, MP3 player, Mac/PC computer, or any other device with 3.5mm headphone output sockets directly to your Beolab active speakers using the Phono (RCA) Line input sockets (see compatibility list below). One cable will allow two Beolab speakers to be connected. This cable is particularly suitable for the almost all of the previous / discontinued range of Bang and Olufsen Beolab active loudspeakers, as these systems have RCA connections for the Line Inputs instead of the usual B&O DIN sockets. 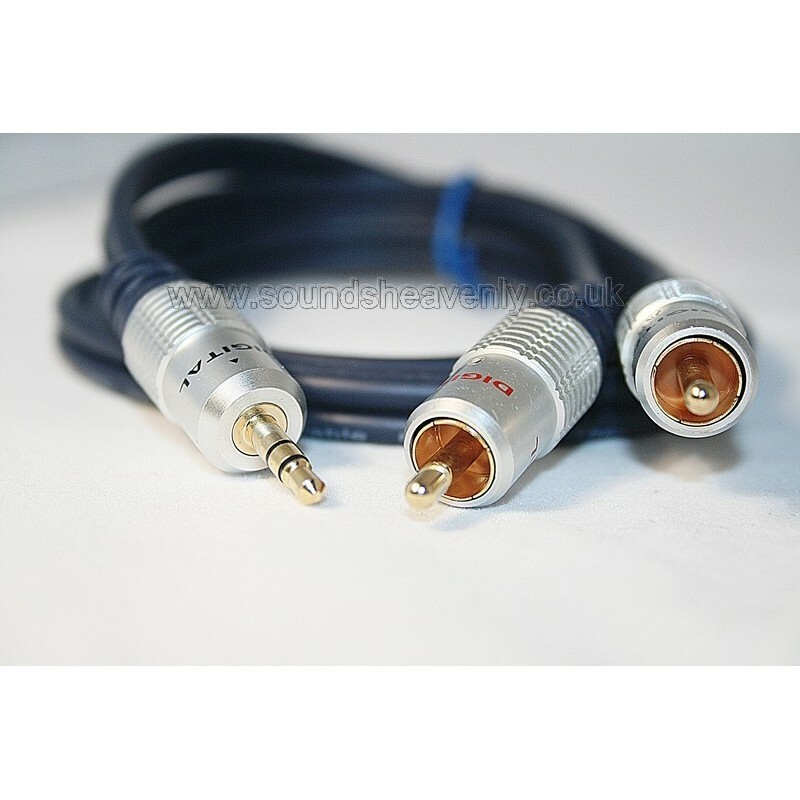 For newer B&O speakers, see our other Line input cables. Alternative versions of this cable are also available that will fit other B&O Beolab speakers - if you are in any doubt, please ask! Turn the device volume down before you start playing music - Beolab speakers are VERY powerful! A popular use for this cable is for connecting a TV directly to a pair of Beolab 8000 speakers (uses the TV headphone socket for volume control). For Beolab 3000, 4500 and 5000 wall-mounted speakers, you may need to undo the small screw that hold the cover of the RCA plug in place using a screwdriver and slide the cover off the RCA plug so that the plug fits the tight space behind these speakers - please ask if you need any help with this, or please let us know if you would like us to do this for you prior to shipping the cables.